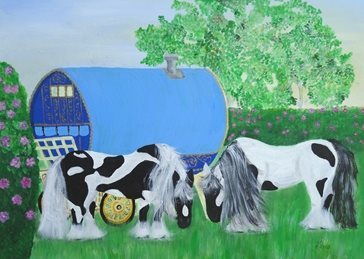 A traditional Romany Caravan with cob horses. 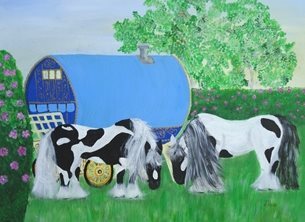 This image is taken from one of my acrylic paintings. Copyright Karen J Jones, 2015.